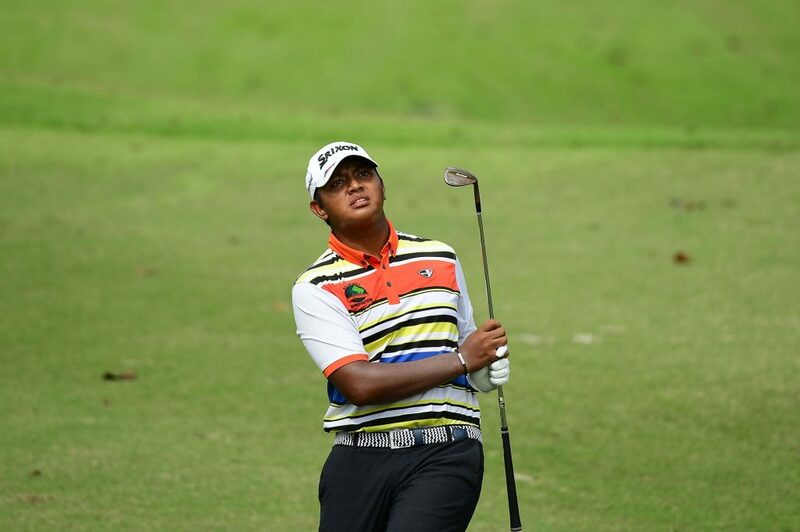 Bandar Seri Begawan, Brunei April 24: Thailand’s Itthipat Buranatanyarat fired an impressive seven-under-par 63 to set the early pace in the opening round of the Butra Heidelberg Cement Brunei Championships on Wednesday. 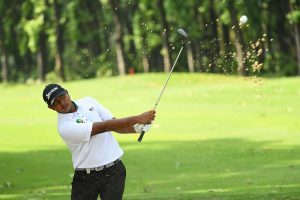 The 25-year-old Itthipat, who claimed his third Asian Development Tour (ADT) victory in January, was sharp off the tees, trading eight birdies against one bogey to take a one-shot lead over Japan’s Nari Gamma at the US$75,000 event which is staged at The Empire Hotel and Country Club. Singapore’s Koh Deng Shan, Thailand’s Poosit Supupramai, Tawit Polthai as well as the American duo of Casey O’Toole and Austen Truslow are bunched in third place on matching 65s. Defending Champion Kiradech Aphibarnrat of Thailand sits in tied-8th with countryman Prom Meesawat with their rounds of 66. Starting from the back-nine 10th hole, Itthipat birdied two of his opening three holes before dropping a shot on hole 13. He recovered with consecutive birdies on holes 17 and 18 for an outward 32. The Thai, who currently holds the top spot on the current ADT Order of Merit rankings, stayed bogey-free in his second nine, notching birdies on holes two, three, four and six for an inward 31. “My goal today was to shoot at least two-under-par so I am happy to have achieved it today. I played well because I kept my ball on the fairway and gave myself a chance to hit it close on the approach,” said Itthipat, who only missed two fairways. “I feel pretty relaxed this week because I know I can do well here and I will stick to my game plan for the next couple of rounds,” added the Thai, who finished third in Brunei last year. 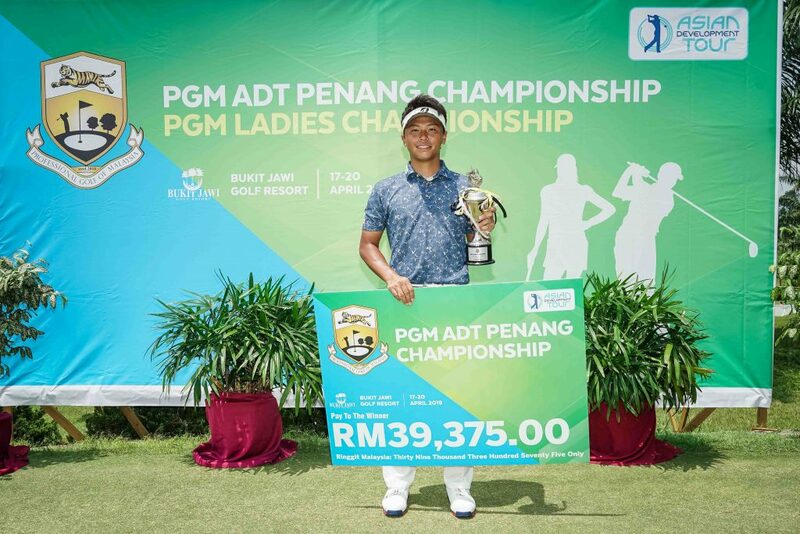 Gamma, who missed the cut in his Bruneian debut last year, opened his campaign with a sizzling 64 which also marked his personal-best round of the year. “I had a fast start today and was giving myself a lot of birdie opportunities. My short game really helped me today and I had a couple of good saves. “The highlight of my day was on hole eight when my second shot went into the water but I made a great up-and-down from 30 yards to save bogey,” said the 30-year-old Gamma. Koh, chasing his maiden ADT victory this week, put himself in the mix with three birdies in his closing four holes. “I putted quite well today and made a few good iron shots on the front nine. I have been hitting the ball good this year and I think I am just reading the greens better today. “I did well coming down the stretch with good birdies on holes 15, 17 and 18. 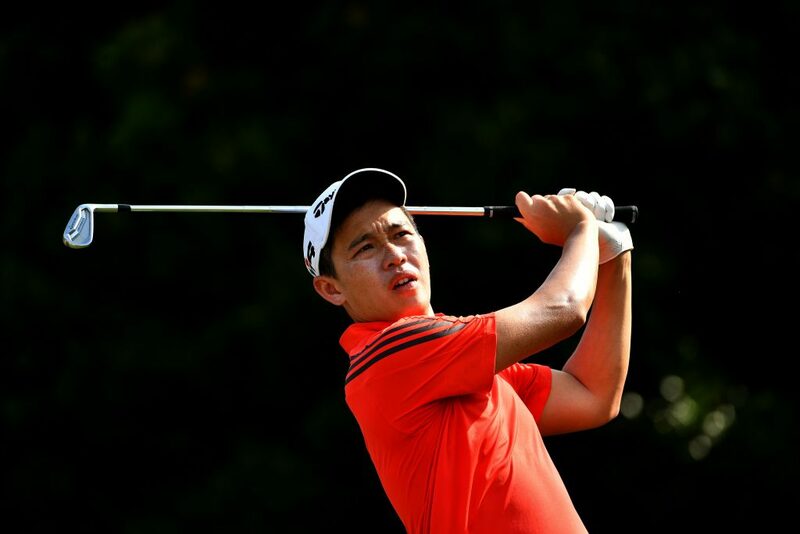 I had only one bogey on hole 16 because of a wrong club choice but overall it was a great round,” said Koh. 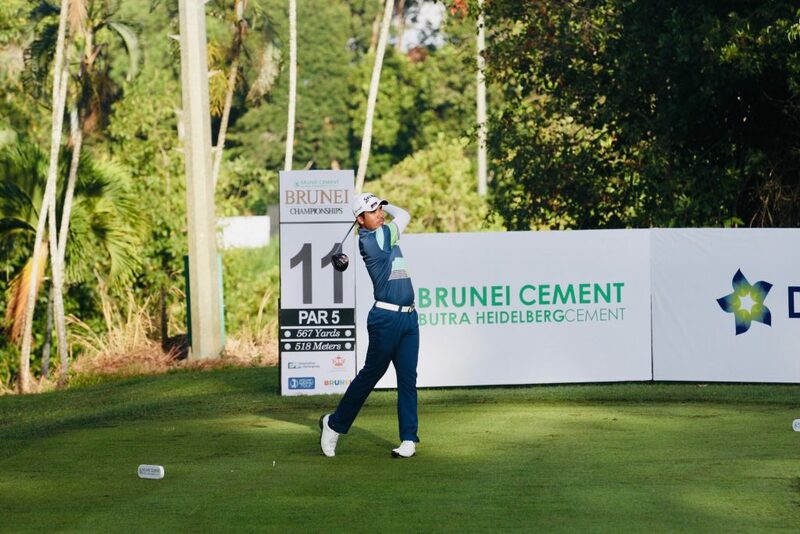 The Organising Committee of the Butra Heidelberg Cement Brunei Championships has announced a charity drive through its “Birdies for Charity” program. Through the generous contributions of its donors, the program will receive B$10 for every birdie recorded during each round. All pledges collected after four rounds will go directly to the Dana Pengiran Musa Mahkota Al-Muhtadee Billah for Orphans and the Pusat Ehsan Al-Ameerah Al-Hajjah Maryam. 63 – Itthipat Buranatanyarat (THA). 64 – Nari Gamma (JPN). 65 – Koh Deng Shan (SIN), Poosit Supupramai (THA), Casey O’Toole (USA), Tawit Polthai (THA), Austen Truslow (USA). 66 – Chonlatit Chuenboonngam (THA), Prom Meesawat (THA), Wang Wei-lun (TPE), Kiradech Aphibarnrat (THA), Sarit Suwannarut (THA), Shae Wools-Cobb (AUS). Phuket, Thailand, April 23: The Singha Laguna Phuket Open will return to the Asian Development Tour (ADT) schedule for its third consecutive edition from May 16 to 19 next month. The popular event, co-sanctioned with the All Thailand Golf Tour (ATGT), will mark the ADT’s third leg in Thailand this season following the Boonchu Ruangkit Championship and the Thongchai Jaidee Foundation 2019 in January and February. A stellar international field of 144 players will tee off at the award-winning Laguna Golf Phuket for the highly-rated event, which offers a prize purse of THB 2,000,000 (approximately US$63,860). The resort has played host to numerous professional tournaments since its comprehensive course revamp in 2016 and has proven to be a happy hunting ground for local golfers. It is also a former host venue on the Asian Tour. 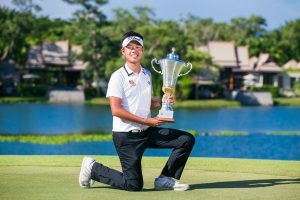 In the inaugural edition in 2017, the Singha Laguna Phuket Open welcomed a worthy champion in Thailand’s Chanachok Dejpiratanamongkol, who secured his maiden victory with a winning total of 27-under-par 253. He had led from start to finish. That same year, Suttijet Kooratanapisan of Thailand etched his name into history books when he carded a stunning 59 in the final round, which remains the record lowest round on the ADT and the premier Asian Tour till date. In 2018, young Thai Varanyu Rattanaphiboonkij dominated the field to secure a wire-to-wire victory where he won by six shots. 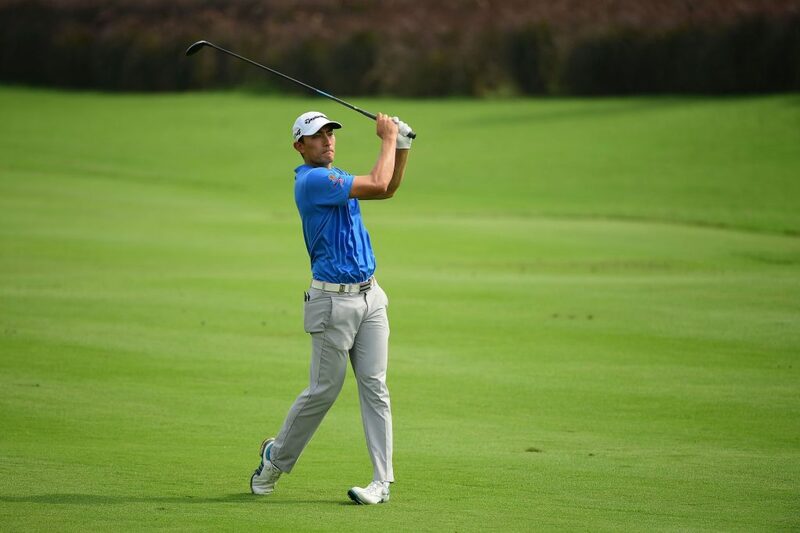 The Phetchaburi-native golfer went on to claim his second ADT title in November to finish third on the Merit ranks, thereby earning his Asian Tour card for the 2019 season. Cho Minn Thant, Asian Tour Chief Operating Officer, lauded the return of the Singha Laguna Phuket Open onto the growing ADT schedule. “Phuket has always been a popular destination for our members for obvious reasons. It is a spectacular location with a wealth of activities at your fingertips at the ever-hospitable Laguna Phuket. “We would like to thank Laguna Phuket and Singha, the joint-title sponsors, and the All Thailand Golf Tour for their unwavering dedication towards the development of golf in the region,” said Cho. “Thai golfers have traditionally been strong contenders on the ADT. 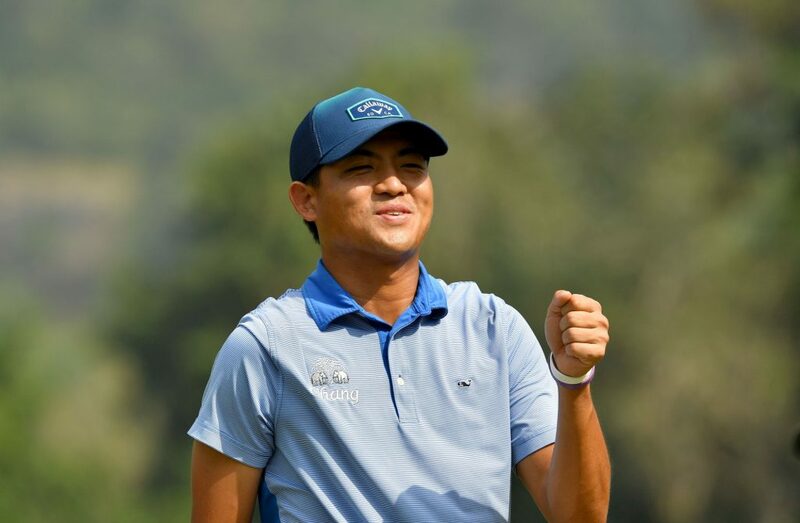 Sadom Kaewkanjana lifted his maiden ADT trophy at the Thongchai Jaidee Foundation 2019 in February and went on to make a stunning breakthrough on the Asian Tour two months later in Bangladesh. “We hope to see more young and exciting talents bursting onto the scene through the staging of this event,” Cho added. Jakraphong Thongyai, All Thailand Golf Tour Commissioner, said: “I am always glad to host the event along with the ADT. We strongly believe that this event will be as successful as the previous years. On behalf of the ATGT, I would like to send our sincere thanks to the Asian Tour and the Asian Development Tour for the support and dedication in growing the game across Asia. “The ATGT would also like to thank to Laguna Phuket for their wonderful support for the third conservative year and we hope to continue this event with the ADT for many years ahead. Our players always enjoy visiting Laguna Phuket, the destination has a variety of hotel accommodation and fantastic recreational facilities, with the golf course conveniently situated at the heart of the resort,” Jay added. Penang, Malaysia, April 20: Japan’s Naoki Sekito captured his first Asian Development Tour (ADT) victory with a four-under-par 68 in the final round of the PGM ADT Penang Championship on Saturday. 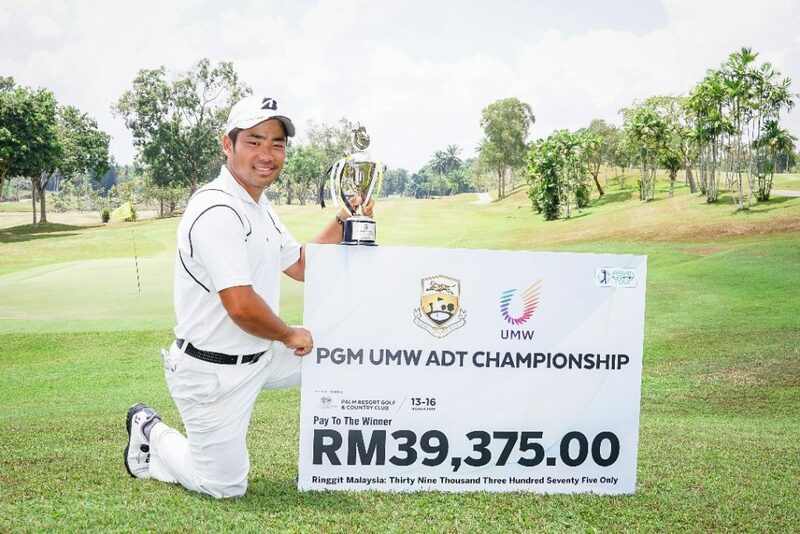 The 21-year-old Japanese compiled a four-day total of 17-under-par 271 to win by one shot over Malaysia’s Danny Chia (66) and American Sam Gillis (68) who were tied for second at the RM225,000 (approximately US$54,000) event. American Trevor Simsby and Malaysia’s Amir Nazrin carded matching 69s to take the fourth and fifth spots respectively at the Bukit Jawi Golf Resort. Sekito entered the final round with a one-shot lead, but relinquishes that lead when he dropped a shot on his very first hole. “I bogeyed my first hole after I pushed my tee shot to the right and had to chip out from behind the trees. 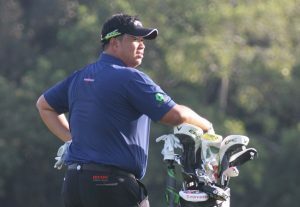 But after that bogey, I was less nervous because I wasn’t the sole leader so I knew I could keep chasing,” said Sekito. With the pressure of his spirited rivals off his back, he held his nerves to stay bogey-free for the rest of the round, notching birdies on holes two, seven, 10, 12, and 15. “Right after that hole, I made a birdie putt from six feet which gave me that extra boost. I wasn’t hitting the ball very well but I was very lucky on my back nine. I chipped in on hole 12 from 20 yards for birdie and had another good birdie putt from 10 metres on hole 15,” said the young Japanese. With his victory, Sekito took home a winner’s purse of US$9,529.28 and received six Official World Golf Ranking (OWGR) points while the other top six players and ties earned points based on a sliding scale. “I told myself in January, that my goal was to win on the ADT and get into the top-seven on the Order of Merit. Now that I have won I am really happy and I can’t wait to call my family and tell them,” added Sekito, who moved up to take the fifth spot on the ADT Order of Merit. Two-time Asian Tour winner Chia was thrilled to rediscover his form with a new putter in the bag this week. He traded two bogeys against eight birdies to enjoy his first top-10 finish in two years since his joint runner-up result on the ADT in July of 2017. “I’m very happy with how I played this week, it has been awhile since I have had a top-10 finish. It was an up-and-down round where I had a good run of birdies from holes three to seven but three-putted on hole eight for bogey. “Overall I am putting well and this week was a confidence boost. I can see the changes since I switched my putter and I am playing more consistent golf,” added Chia, who won his fourth ADT title in 2016. Jakarta, Indonesia, April 11: The OB Golf Invitational will celebrate its second edition on the Asian Development Tour (ADT) when it gets underway in Indonesia from May 7 to 10. The US$65,000 event will be staged at the highly-acclaimed Royale Jakarta Golf Club, a world-class Championship course that is a regular host venue of the Indonesian Masters on the Asian Tour. A talented 144-men field are set to compete in the event, which marks the Tour’s first stop in Indonesia and the seventh leg on the ADT schedule this season. The inaugural OB Golf Invitational in 2018 welcomed a worthy champion in Japan’s Shohei Hasegawa who clinched his maiden ADT victory and first professional win by one shot. 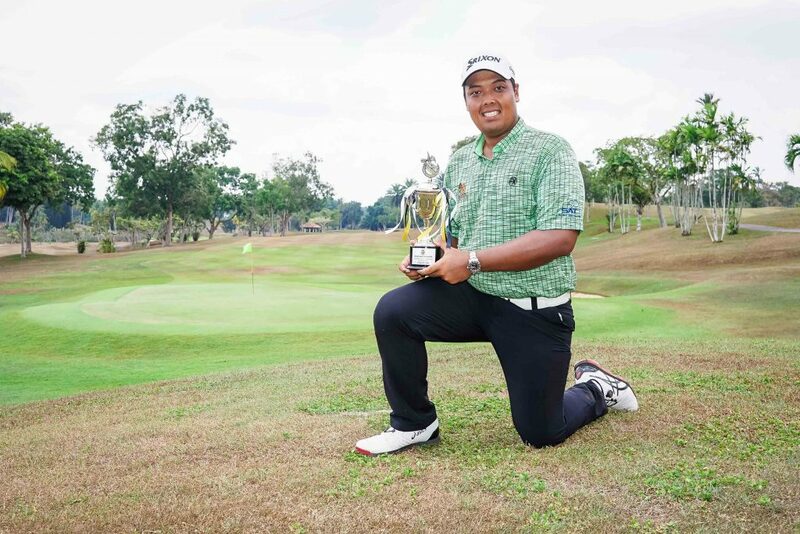 Indonesia’s George Gandranata emerged as the highest-placed local finisher, compiling a three-day total of seven-under-par 206 to take fourth place. Jimmy Masrin, owner of OB Golf, hailed the return of the tournament which will provide more opportunities for Indonesian players to improve their ranks on the OWGR and boost their chances of representing their country at the 2020 Olympic Games in Tokyo. “We are thrilled to be back on the ADT schedule, that has proven to be a successful platform for aspiring golfers to gain valuable competitive golf experience. “We are certain that the staging of this event will once again present an exciting opportunity for our home-grown players to pit their skills against the best in the region and improve on their rankings with the OWGR points on offer,” said Masrin. Cho Minn Thant, Chief Operating Officer of the Asian Tour, lauded the return of the event on the growing ADT schedule. “We are delighted to be back in Indonesia for another successful staging of the OB Golf Invitational. The country has produced top-notch players like Danny Masrin, the highest-ranked Indonesian on the OWGR, as well as George Gandranata, a one-time winner on the ADT. 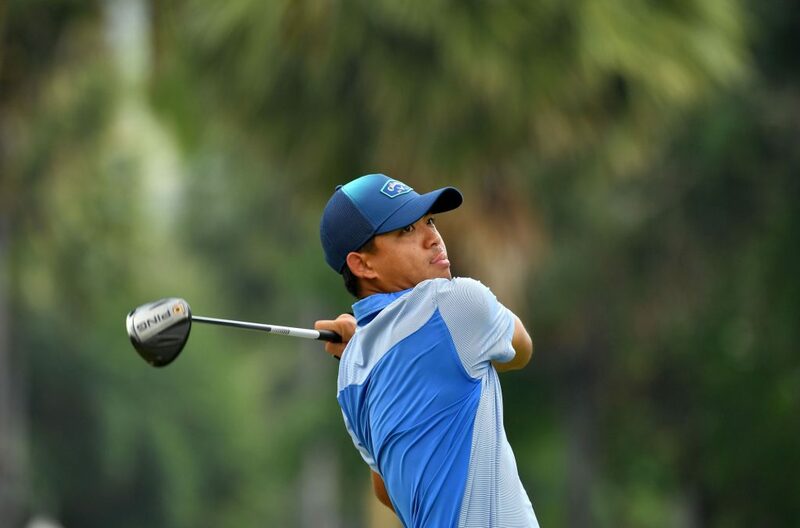 “On behalf of the Tour and our players, we would like to express our appreciation to OB Golf for promoting the event and the PGATI for sharing in the mission of the ADT in supporting the growth of the sport in the region,” said Cho. The Asian Development Tour was launched in 2010 with the aim of creating a career pathway for professional golfers in Asia. Sanctioned by the Asian Tour, the Asian Development Tour will ultimately create a new playing platform for emerging stars from across Asia and around the world. Through the Asian Tour Qualifying School, players will qualify for the Asian Development Tour and enjoy the opportunity to hone their games and talent through a secondary circuit in Asia. Designed in the same structure as the Web.com Tour in America and European Challenge Tour, the Asian Development Tour is a stepping stone to the Asian Tour and the exciting world of international golf. The Asian Development Tour has been structured to ensure the best opportunities for its members. The leading seven players on the Asian Development Tour will earn coveted Asian Tour cards for the following season, ensuring a proper career pathway for aspiring professionals. All ADT events receive Official World Golf Ranking points.